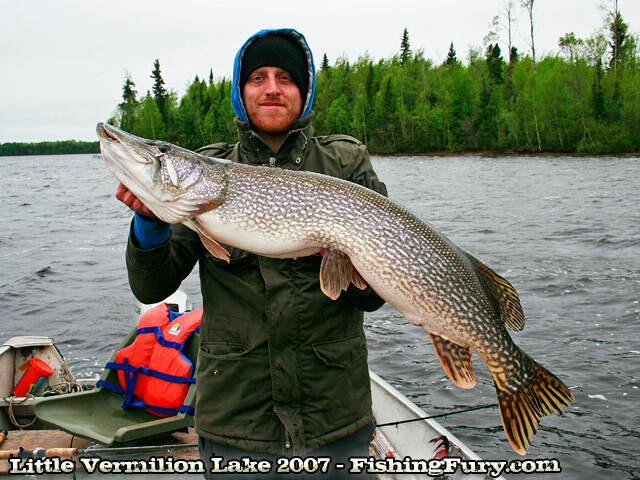 Top 5 Spring Pike Lures | FISHING FURY - A Fishing Blog with Attitude! 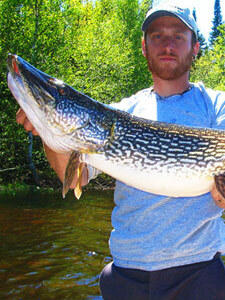 If you are a regular here you know just how much we love our spring pike fishing. 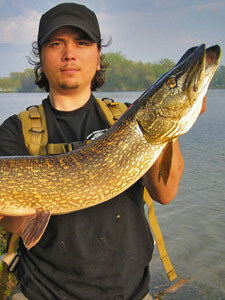 And whats not to like – spring pike are big, hungry and at times, super aggressive. When pike are hungry and feeding, there are few lures out there that they wont try to inhale, but the fishing is tough, you need the right tools for the job. Here’s a list of lures we love to use! 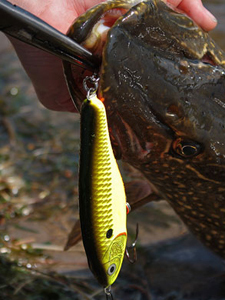 Rapala took the fishing world by storm when they introduced the X-Rap line of lures. The 4 3/4 inch XR12 lure in clown pattern should be in every pike fishermans tacklebox. What makes them so great? They cast far, the can be retrieved at any speed or twitched to create an irresistible swimming action. 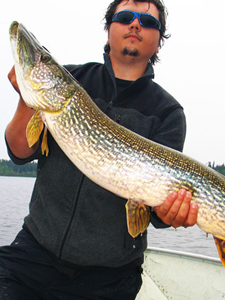 These lures can be extremely effective when pike are lazy. Simply pause your retrieve and allow the X-Rap to suspend. 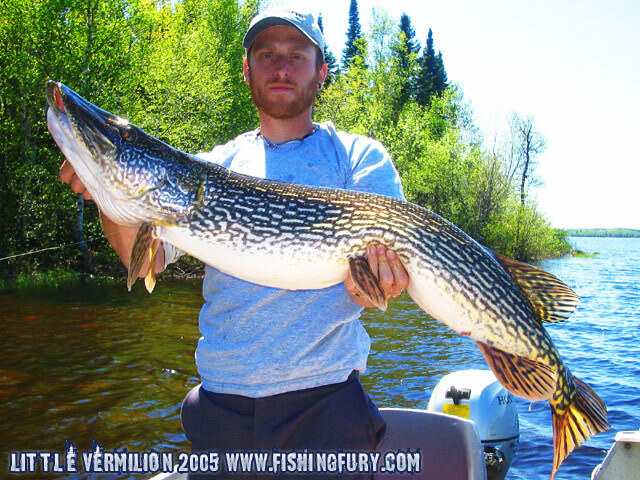 This action will often bring pike in close and they’ll inhale the lure once you start your retrieve again. Buy the Rapala X-Rap from our OpenSky Store! Suick lures have been around since the 1930s – the very fact that they are still sold today proves that these lures can catch big fish. I became a believer in these lures back in 2005 when Jon and I were fishing for spring pike at Little Vermilion in Northern Ontario. We were both watching the lures rise and dive just below the surface when all of a sudden a mound of water began to raise behind the lure. Within seconds a massive pike smashed the lure with extreme prejudice and almost pulled the rod from my hands. 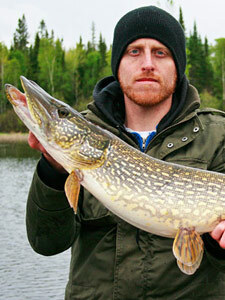 I haven’t been on another pike trip without that lure in my tackle box. 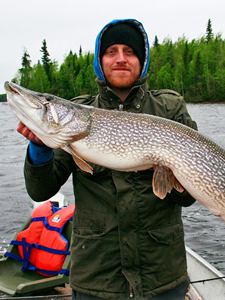 Another Rapala makes the list. 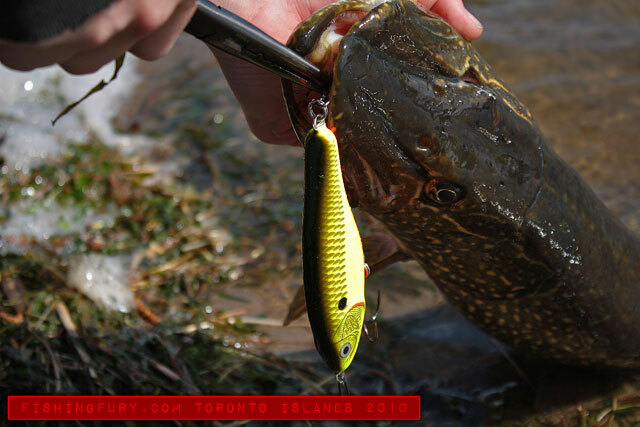 This is a pretty new lures here in North America and is already a new favorite for us, specifically the Hot Olive pattern. 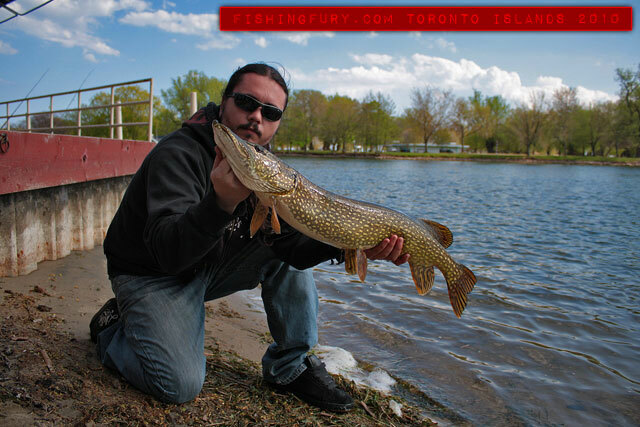 Its got a great side to side sliding and gliding action that proved the be the most reliable pike lure we used at Toronto Islands this year. This lure is 4.75 inches long and 1.3 oz. And for all of you fishermen who prefer bigger lures, Rapala is adding a 6 inch, 2.5 oz model into the mix, as well as three new colours. What can I say about these lures? I love them. 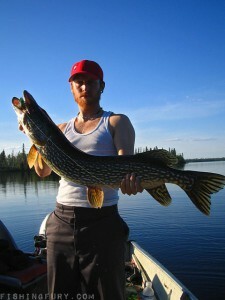 The biggest pike I’ve ever caught came on one of these beauties. Of course, you may say my opinion is biased since I am the creator of the big spinners, featuring #8 French blades, but these lures we created solely for catching pike. They cast far, can be trolled, and they create an irresistible vibration under the water thanks to large blades. Last and certainly not least, the Black Fury. I prefer to use the #5, 1/2 oz version personally, but pike will go after smaller incarnations as well. If you ask me, there is no better lure for covering water than this French spinner. 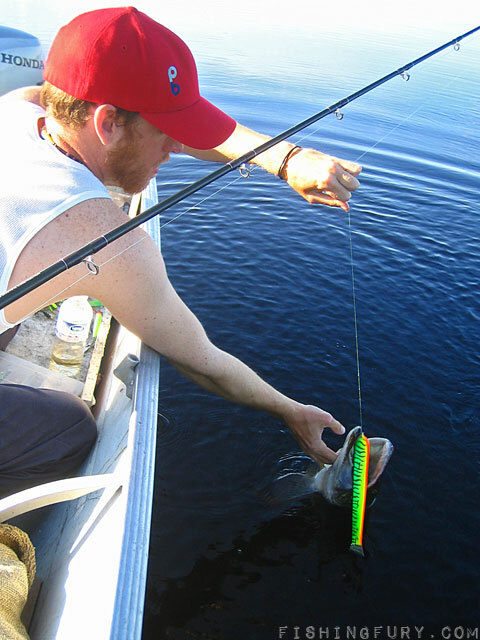 Fast or slow, deep or shallow, this lure produces fish. Mepps does make larger versions of the Black Fury specifically for pike and musky, but the plain old #5 has produced more pike for me then any other lure. For an added sense of security I usually remove the standard hook and replace it with a larger one just to make sure the big ones don’t get away. I just found out that my favorite mountain lake in Northern Arizona has no more trout! It’s full of pike and only pike. So, since I guess PowerBait won’t be much help, I’ll be sure to try some of these lures. How big were the lakes where you caught those fish? I’ll be at Ashurst Lake and it’s big but not HUGE. 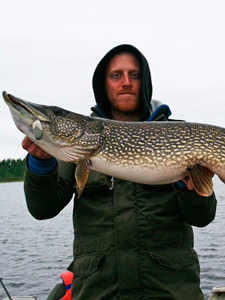 The pike I’ve pulled out of the lake have all been under 8 inches. But you’re not allowed to throw them back. 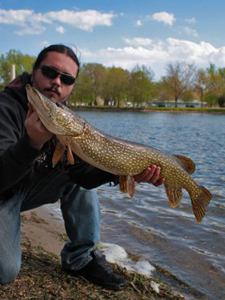 The other pike are from Lake Ontario, which is of course one of the Great Lakes and is the 14th largest lake in the world! And if there were trout in that lake you’ll be fishing, use lures that look like trout! Shouldn’t these be numbered in reverse? I love the fact that the Black Fury is so beaten up! It’s obviously seen some serious action. Would you be surprised to know that Clive and I could probably fill a suitcase with lures that looked like that? I have a mepps black fury that I bought in 2004 that has caught nearly all my personal best pike, I dare not throw it anymore it’s so valuable to me. Wouldn’t head out for pre-spawn Northerns without a 5-6 inch bubblegum soft plastic fished with a single Gamakatsu exposed hook ( deadly – hang time can’t be beat with a 30lb fluorocarbon leader ).